Aimed at protecting the Indian domestic steel firms, the definitive anti-dumping duty imposed on imports of a clutch of hot-rolled and cold-rolled flat products of steel is likely to benefit domestic firms in more ways than one. While rating agency Fitch said that it will lower their profitability risks, the Indian credit rating agency (ICRA) is of the view that the anti-dumping regime is likely to create a more stable operating environment for the domestic flat steel players and protect them from the volatility in the international prices. Following petitions filed by domestic steel majors, the directorate general of anti-dumping (DGAD) found that predatory imports were indeed causing material injury to steel majors such as Tata Steel and JSW Steel. Accordingly, the finance ministry imposed definitive anti-dumping duty from several countries including China, Japan and South Korea, through its orders dated 11 and 12 May 2017. The duty has been fixed at a level which is the difference between the product’s landed value and the threshold of USD 478 – 489/mt for HR coils, USD 561/mt for HR plates/sheets, and USD576/mt for CR coils. Anti-dumping duties will not be imposed if the landed value of imported products is higher. The duties are in place until August 2021. 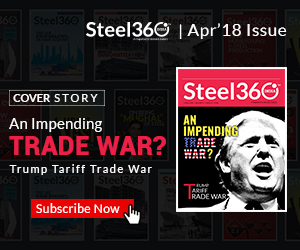 This is expected to prevent the landed cost of imported flat steel from falling below this threshold, thereby protecting domestic players from the volatility in international steel prices to an extent. There is no doubt that the domestic firms were under severe stress due to cheaper imports of steel from these countries for more than two years now so much so that the sector’s debt-servicing ability went for a toss and it started resorting to retrenchment. The sector was already one of the largest contributors to the bad loans of the banking sector. 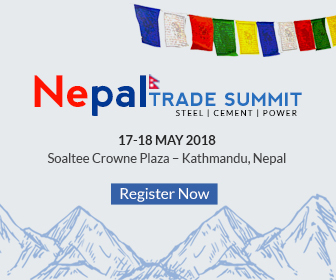 The government, however, has taken a series of measures, both tariff and non-tariff, in the past to rein in the rising imports. It had in February 2016, imposed minimum import price on 173 products in the range of USD341-752 per tonne. After pruning the MIP list in the interim, in February, 2017, these barriers to imports have been removed and replaced with provisional anti- dumping duty. All these measures helped the industry a lot. As a result, India turned into a net exporter of steel in the last fiscal after a gap of three years. In 2016-17, India’s steel imports fell by an annual 37% to 7.4mnt; while exports increased by 102% to 8.2 mnt. According to ICRA, since flat steel products covered under the anti- dumping duty contributed around 60% to India’s cumulative steel imports between FY’2015 and FY’2017, the current measure is expected to keep India’s steel imports under check in coming years. 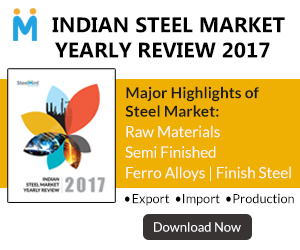 “There is significant overcapacity in the global steel industry, and any softening of international prices like in the recent past may affect domestic prices too, if exports are non- remunerative, leading to price-based competition in India, especially given the slackness in domestic demand,” ICRA said. Apart from anti-dumping duty, the government, has cleared a policy that aims at providing preference to domestically manufactured steel products on government procurement, which will virtually stop imports by foreign companies which do not have any processing base in India. This will also provide a huge relief for the domestic firms.